In the world of Pixar, almost nothing is done without long, meaningful contemplation. 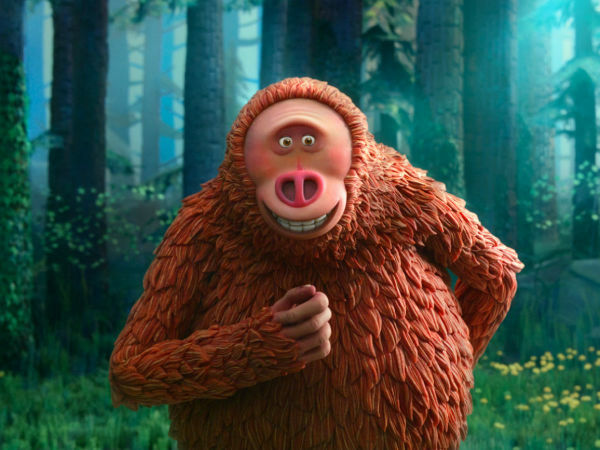 Aside from their two biggest cash cows — Toy Story and Cars — they have taken their sweet time in delivering sequels to some of their most popular films. The sequels for Monsters, Inc. and Finding Nemo came out 12 and 13 years ago, respectively, after the originals. 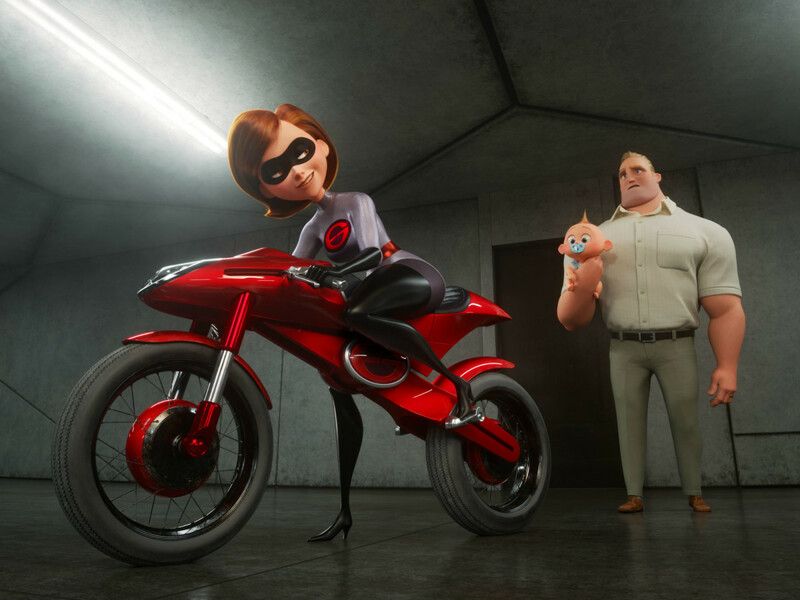 Now, after 14 long years, a sequel for The Incredibles has finally arrived. 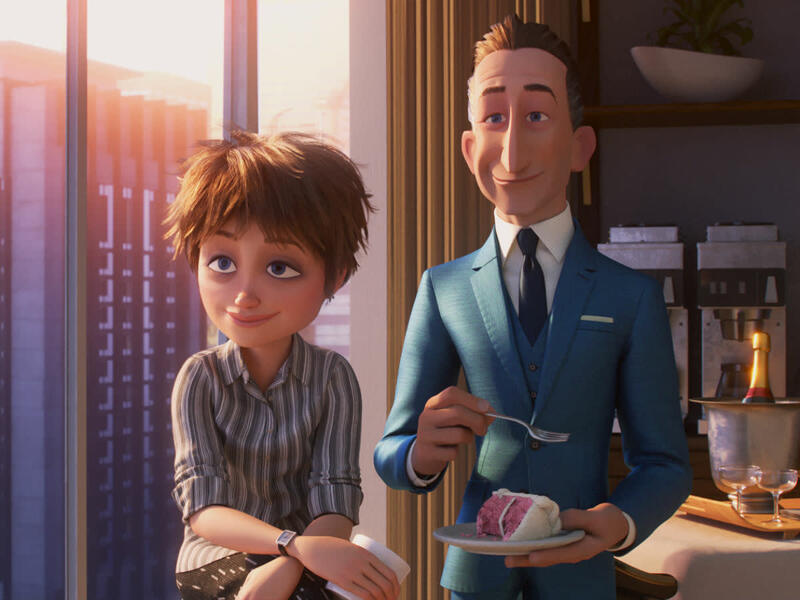 In a way, it’s as if no time at all has passed, as Incredibles 2 picks up exactly where the first film left off, with Metroville being threatened by The Underminer (John Ratzenberger). Mr. Incredible (Craig T. Nelson), Elastigirl (Holly Hunter), Frozone (Samuel L. Jackson), Violet (Sarah Vowell), and Dash (Huck Milner) quickly team up to take him down, but in the process, much destruction is caused. 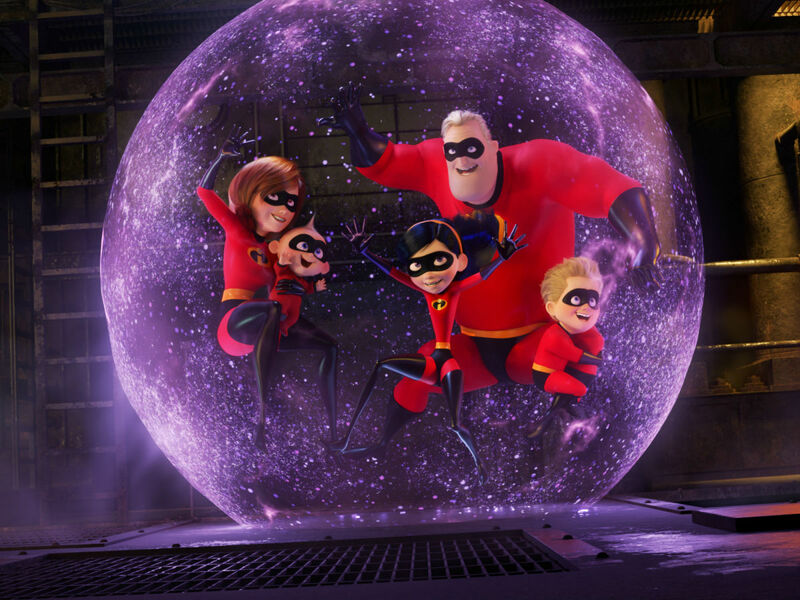 The ensuing fallout indicates that the public is still not ready for superheroes to come to the rescue unbidden, putting the Incredibles into the shadows again. 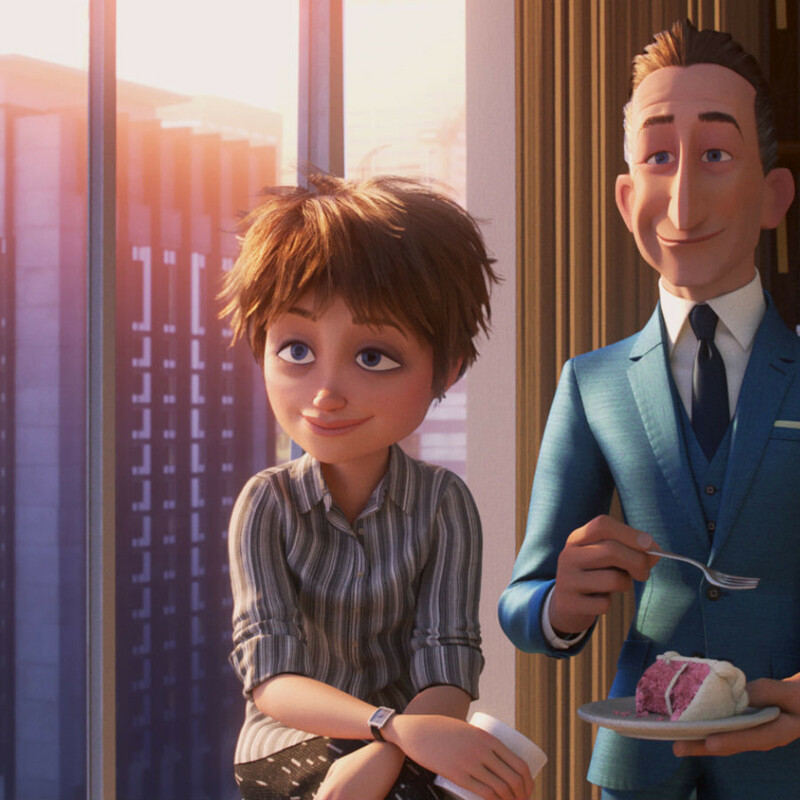 Fortunately, brother and sister entrepreneurs Winston and Evelyn Deavor (Bob Odenkirk and Catherine Keener) have a plan to rehabilitate the supers’ image, using Elastigirl as the face of the operation. While Elastigirl goes out to fight a dastardly villain called the Screenslaver, who uses screens of all types to hypnotize his victims, Mr. Incredible stays at home to look after the kids. 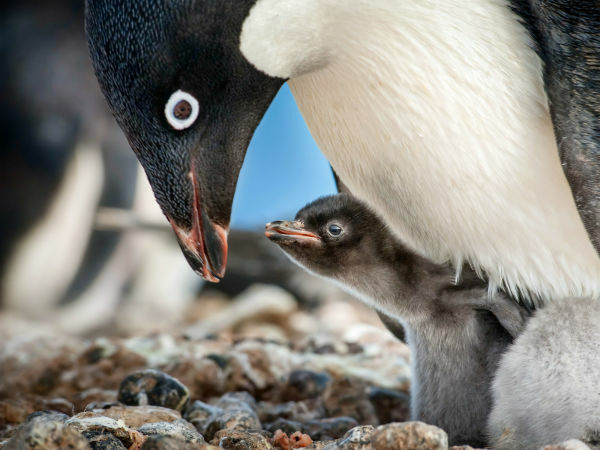 This tunes him in to their ever-growing needs, the most significant of which are the transforming powers of baby Jack-Jack. But the film, written and directed again by Brad Bird, has more on its mind than just stereotypical role reversals. 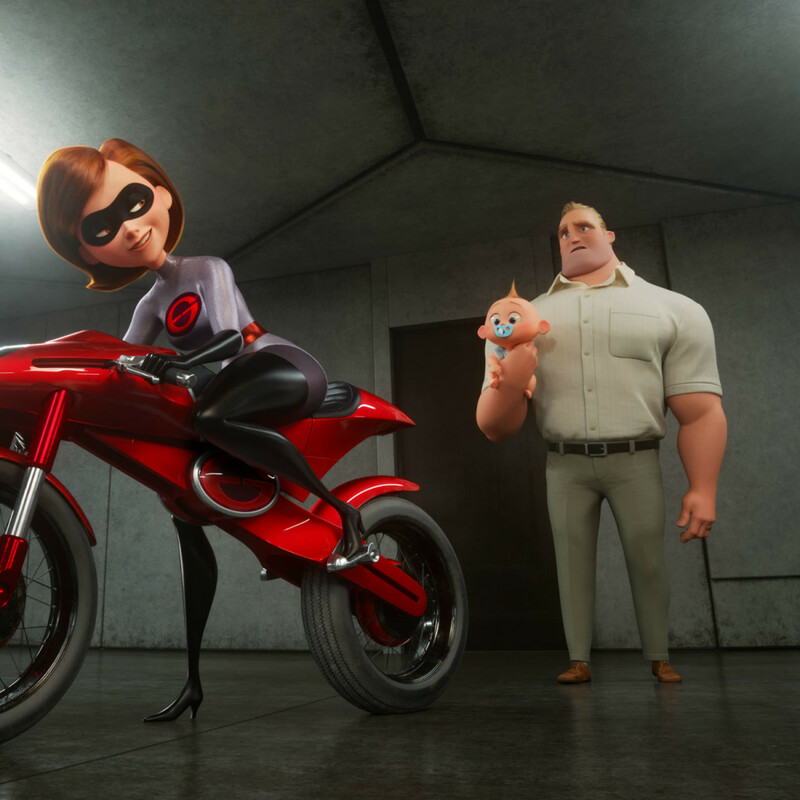 Elastigirl is completely at home in her new role, but it also blinds her to things she might normally spot. Mr. Incredible's struggles as a stay-at-home dad are unique to his special family instead of being portrayed generically as a man's lack of knowledge. And the villain using people’s screens against them is a sly commentary on real life without being heavy handed. One’s enjoyment of the film will depend on how willing you are to go along with the new things it has to offer. Jack-Jack’s powers are numerous and fun, but an argument could be made that the filmmakers have gone too far in playing with their new toy. Previously unknown supers with interesting new powers are brought in by the Deavors, and while they bring a different dimension to the story, their often-bizarre looks prove to be a distraction. Still, the main four Incredibles (plus Frozone) are the undisputed stars, and each gets enough time to show off their impressive skills that the film almost lives up to the original. Especially memorable is a final act showdown set aboard a boat. It is so frenetic and action-packed that it could only be accomplished in a medium like computer animation. 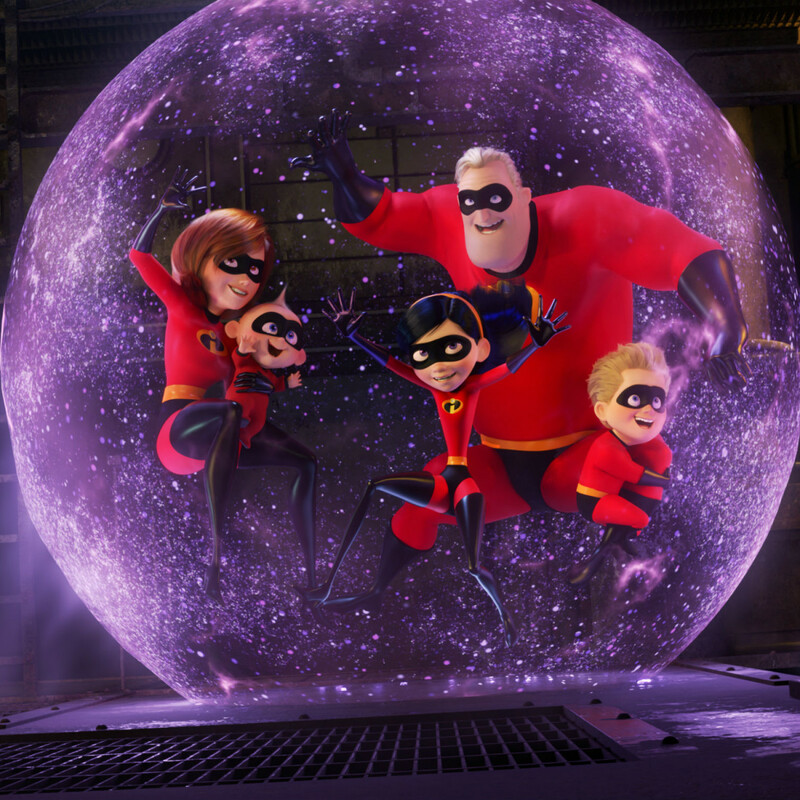 It's been a long wait for another round with the Incredibles, and Incredibles 2 shows that it was worth it. No other superheroes combine their sense of fun, adventure, and family; let’s hope it’s not another 14 years before we get to see them again.